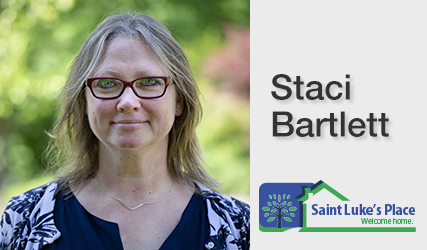 Staci Bartlett joined Saint Luke's Place in 2017 in the role of Operations Director, assuming project management responsibilities for the Saint Luke’s Place Long-Term Care Redevelopment Project. Prior to this role she was one of the original staff at the Waterloo Wellington Local Health Integration Network in the role of Business Manager. In her role at the LHIN, Staci was involved with policy development, procurement, human resources, information technology, privacy champion, and contracts and records management. Staci was also involved in numerous pan-LHIN initiatives and projects, working very closely with the Ministry of Health and Long-Term Care (MOHLTC) and many Health Service Providers in the Waterloo Wellington area. Staci also has a long history of working with not-for-profit organizations in Waterloo Wellington. As our Long-Term Care Redevelopment Project continues its exciting journey, Staci’s collaborative hands-on experience with the LHINs, the MOHLTC and other healthcare providers in this region is invaluable to our team. In her new role, Staci will be working closely with all stakeholders to redevelop and revitalize our Long-Term Care Home to meet the needs of our residents and our community for generations to come. Staci’s overall responsibilities will also include related operational duties to ensure alignment and synergies between operations and project strategy. In June of 2018, Staci was assumed the role of Chief Executive Officer with overall responsibility for leadership, management and operation of Saint Luke's Place. Staci has been a resident of the tri-cities for over 20 years. She has a Bachelor of Arts from the University of Western Ontario and a diploma in Human Resource Management from Conestoga College. In her free time she loves the water, travelling and exploring with her daughter and her dog. Maureen spent almost 20 years working in nutrition and environmental services in the Long-Term Care sector before joining Saint Luke’s Place in June of 2004. Throughout her career, Maureen continued her education and professional development by acquiring credentials in: Food Service & Nutrition Management, Fundamental Housekeeping Methodology, Administrator Certification and Certified Nutrition Management. 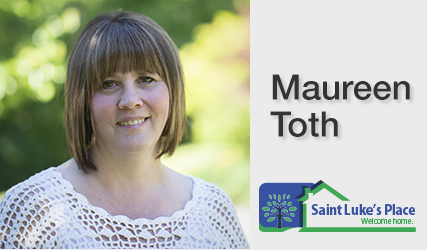 With nearly 30 years experience in Long Term Care, Maureen brings many years of hands-on experience to her role. This experience, combined with the knowledge and skills she has gained over her career, enables Maureen to lead her staff in providing quality service to our residents. In June of 2018, Maureen assumed the role of Long Term Care Administrator and is responsible for the effective delivery of all resident care and services for Saint Luke's Place Long Term Care in accordance with the MInistry of Health and Long Term Care and other relevant Acts and Regulations. Natasha joined Saint Luke’s Place in 2019, starting briefly as a part-time Registered Nurse, moving quickly to fill the temporary vacancy as Director of Nursing and Personal Care. She graduated as a Registered Nurse from Conestoga College in 2000, and began her career in health care as an acute care nurse in Intensive Care Unit and Emergency Departments. She later went on to join the LHIN (formerly CCAC) and assuming several roles during her 9 years there, including Care Coordinator, Educator, Program Manager, and Manager of Operations. Before joining Saint Luke’s, Natasha was a Long Term Care Homes Inspector for the Ministry of Health and Long Term Care. For more than four years she was responsible for inspecting several homes across the province. 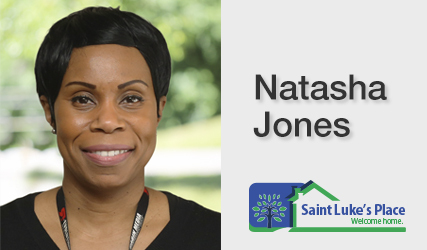 Natasha strongly believes in the importance of person-centred care, and is committed to maintaining a high level of quality in the services we provide to our Residents who call Saint Luke’s Place home. 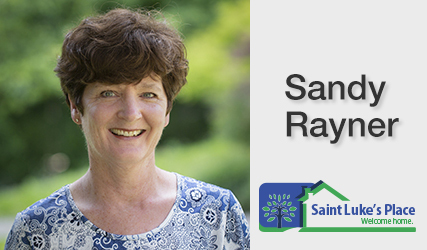 Sandy joined Saint Luke’s Place as a Registered Nurse in 1995 as a new graduate. She started as a part-time Registered Nurse, moving to full-time night Nurse Manager, a position she held for almost 10 years. In 2007 Sandy took on Education Coordinator responsibilities, shortly thereafter, adding all of the Infection Prevention and Control duties as well. Sandy is a certified Infection Control Practitioner having successfully completed the Non-Acute Care Infection Control Practitioner Training Course. She is committed to the highest standards of education for our staff and infection control practices for Saint Luke’s Place. In 2013, Sandy added another role – Associate Director of Care. She transistioned to her current role of Health and Wellness Director where she works collaboratively with nursing specialists in our organization to ensure that our residents receive excellent and innovative person-centred care. 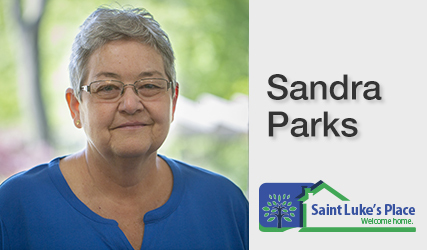 Sandy enjoys the challenges and demands of her work at Saint Luke’s Place, balancing those with the responsibilities and rewards of an active family life. 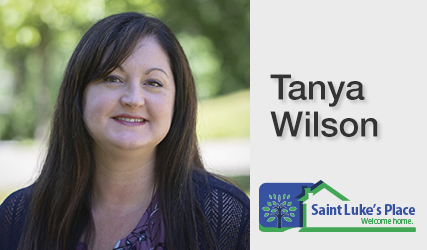 Tanya Wilson is the Director of Finance and Corporate Services, having joined Saint Luke’s Place in 2013. Prior to this, she worked at the Waterloo Wellington Local Health Integration Network as the Manager, Finance and Allocation. Through her work at another not-for-profit health and social services organization and the public school board, Tanya has gained valuable business and financial experience which she draws on daily. Tanya enjoys working at Saint Luke’s Place and embraces both the challenges and rewards of her role. 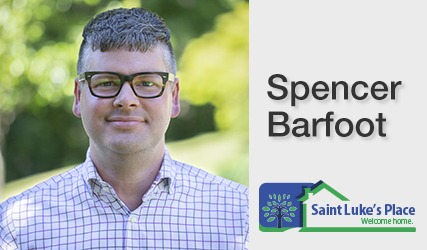 Spencer Barfoot joined Saint Luke's Place in 2018. Having a wide variety of experience in Human Resources and Employee Relations, his areas of expertise include recruitment, training and organizational development. Spencer considers himself most fortunate to have been in positions to learn industry best practices and teach them to organizational teams, from frontline staff to executive leadership, and witness them reap the benefits in quality service and care. Spencer recently chaired the Hespeler Reunion Committee, which fostered and strengthened a feeling of community connection, contributing to the success of this initiative. Spencer enjoys enabling and empowering employees with skills and tools required to support the provision of the highest level of resident-centred care at Saint Luke's Place. 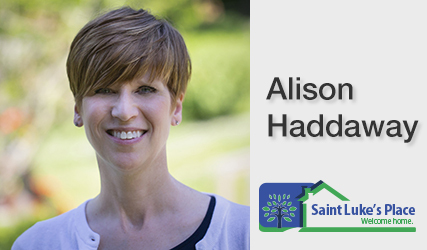 Alison has a long history with the Cambridge area, growing up in Beaverdale and Hespeler. She began her involvement with Saint Luke’s Place as a teenager, volunteering in both the Long Term Care Home and Retirement Residence. Alison attended Humber College to study Travel and Tourism, but her love and respect for seniors and her interest in gerontology took her to Conestoga College to obtain her diploma in the Recreation Leadership Program. 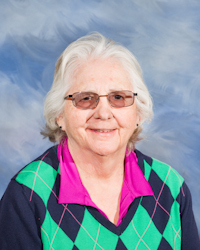 Having worked in the Recreation field for several years before taking time off to start her family, Alison came to Saint Luke’s Place in 2001 as Retirement Recreation Coordinator. Through her caring nature, her dedication to seniors' wellness and her passion for serving the community, Alison has endeared herself to residents and family members alike. Alison and her family have a history of involvement in local sports, such as the Cambridge Rivulettes Women’s Jr. Hockey Team and other local hockey and baseball teams. Her family connections go back as far as the original Hespeler Arena. In her current role Alison is responsible for assisting in events, seniors activities, and planned giving for the fundraising effort for our facility and redevelopment project. Alison is also our staff resource person for the independent living apartment tenants. Alison recently completed the Advanced Canadian Gift Planning Program through the Canadian Association of Gift Planners (CAGP). Alison is an enthusiastic and dedicated team member who volunteers many hours to Saint Luke’s Place events that directly benefit our residents and tenants. Alison has also served on the Age Friendly Committee of the Social Planning Council of Cambridge and North Dumfries. Krista has been providing recreational and social programming for the residents of Saint Luke's Place since 2004. Krista has a Bachelor of Arts Degree in Recreation and Leisure Studies from the University of Waterloo, specializing in Therapeutic Recreation and Gerontology. Prior to joining the Saint Luke's Place team, Krista worked with the Seniors' Day Program in Elmira and New Hamburg. Krista wanted a way to offer her creativity and love for horticulture to others. It was through her work with seniors that she discovered she could share these passions and, at the same time, help to provide an excellent quality of life to those living in Long Term Care. 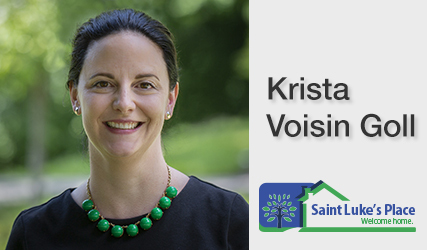 In 2017, Krista was appointed to the position of Activation Manager, leading the Long Term Care Activation Team at Saint Luke's Place. Krista and her team are excited to develop and offer a diverse activation program to enrich the lives of the residents we are privileged to serve. Sandra has worked at Saint Luke’s Place for 20 years. Sandra provides administrative support to the Chief Executive Officer and the Board of Directors. Over the years, Sandra has also become increasingly involved in managing the organizational Information Technology systems and infrastructure, assisting with advancements in computerization of the Administrative and Nursing areas. Before joining Saint Luke’s Place, Sandra worked at the National Offices of the United Church of Canada in their Division of Communication. There she was active in radio and television production. Sandra’s career then lead to the Advertising department of a large pharmaceutical company. It was then that she took the opportunity to join Saint Luke’s Place, drawn to the sense of community. Through her extensive experience with administration, technology and communications, and her commitment to the mission of Saint Luke’s Place, Sandra is a valued and respected executive support to the organization. Sandra has a degree in English and Communications from York University in Toronto. John Bouskill has been a valued member of the Maintenance Department for over 10 years. John joined us with a strong background in the industrial and manufacturing sectors. 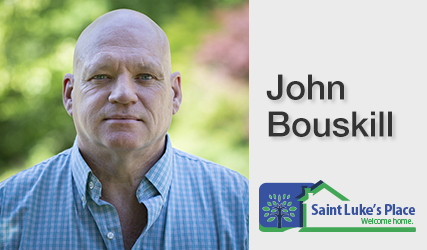 John has consistently held responsible supervisory positions focusing on cost efficiencies and team work. His experience in hands-on maintenance and operational issues has served him well at Saint Luke's Place. John also has a creative side, having worked for many years in the culinary field as an apprentice and then Executive Chef in the hospitality industry. John was promoted to the Environmental Services Manager, leading our environmental services departments with a focus on quality services and client satisfaction. At Saint Luke's Place, John's willingness to help and go the extra mile is his trademark. He enjoys the interaction with the seniors who have come to rely on his cooperative and "let's get the job done" approach to his day. Susan has spent the last 28 years working in Long Term Care and Retirement, devoting much of her working career to serving the needs of seniors. 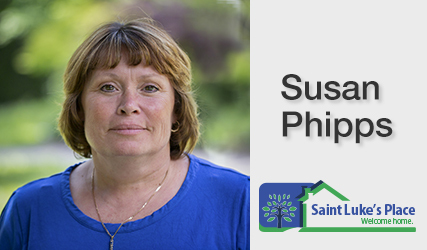 Before joining Saint Luke’s Place in September 2014 as the Support Services Assistant, Susan has worked in different capacities in healthcare from Housekeeping, Laundry and most recently Foodservices. Susan continued her education and professional advancement becoming a Certified Food Service and Nutrition Manager in 2013. Susan brings many years of practical, hands-on experience to her role, and she has established strong relationships with residents, staff and management for her demonstrated dedication to the Saint Luke’s Place community. Saint Luke's Place is governed by a voluntary Board of Directors. The Board of twelve is comprised of a diverse group of skilled, talented and experienced community leaders who give generously of their time to attend Sub Committee and monthly Board meetings. The Chief Executive Officer and Senior Managers are responsible for the day to day operations of Saint Luke's Place and report regularly to the Board of Directors. Charitable not-for-profit Long Term Care Facilities provide public accountability as Board Members are volunteers from the community. Bruce Fraser is was appointed Chair of the Board of Directors this year, having served on the board since 2012. In addition to being an active board member, Bruce is an active member of the Society for Human Resources Management and holds a Professional HR certification (CHRE – Certified Human Resources Executive) this is a designation that is reserved for the HR profession’s proven, high-impact leaders—trusted advisors with breadth of knowledge, strategic orientation, ability to build business-aligned HR strategy, and who exercise significant impact and influence across their organizations. 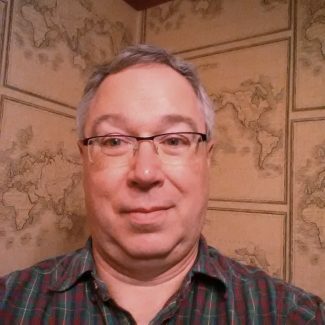 Bruce is currently employed by Steelcraft Inc. and he has served in human resources management roles with Nestle Waters Canada, Kodiak Group Holdings, an affiliate of Williamson Dickies, Research in Motion (Blackberry) and NCR, where he began his career. Bruce has multiple disciplines in Operations and Human Resources and brings more than 30 years of business experience to the role. He holds a diploma in Business Administration from Wilfrid Laurier University as well diplomas in Electronics Engineering, Manufacturing Engineering and Human Resource Management. Neil Brennan joined the Board of Saint Luke's Place in 2012, and he is a Past President of our Board. His interest in Long Term Care resulted from personal experience supporting a senior relative in obtaining additional care. Neil has almost 40 years of work experience in our Waterloo Region community, focused in management roles in Finance and Risk Management. He has previous volunteer Board experience with a Not-for-Profit Housing Corporation and a Family Crisis Shelter. Neil has a Business Administration degree from the University of Western Ontario, and is a designated accountant (CPA, CA). 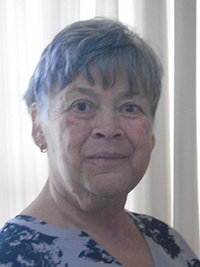 Anne Tinker is the Founder and Executive Director (retired) of Cambridge Shelter Corporation, a non-profit, charitable organization delivering services to individuals and families experiencing homelessness. Anne is Past Chair of, and has been a Board member of Saint Luke's Place for many years. 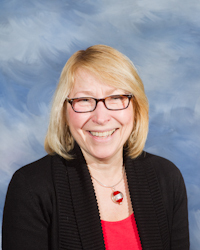 She is also Board Chair of Wesley United Church, Chair of the Grand River Grant Review team of the Ontario Trillium Foundation, a member of the Board of Community Support Connections, and an active Rotarian. In addition, she serves as a Peer Reviewer and Chair of the Standards Program for Imagine Canada. Throughout her career, Anne has worked with seniors and other vulnerable populations and has advocated to improve access to supports and services that are available in her community. 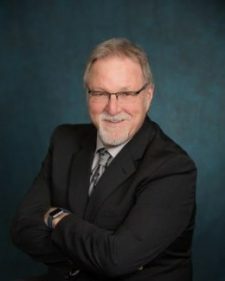 Stan Jones, a Chatham, Ontario native attended the University of Guelph, receiving an Honours BA in Geography in 1972 and then a B.Ed from the University of Western Ontario a year later. 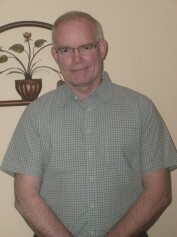 Stan was employed by the Waterloo Region District School Board, teaching at Galt Collegiate Institute for 14 years and a further 16 years at Southwood Secondary, retiring in June of 2003. Stan has been a long time member of St. Andrew’s Hespeler Presbyterian Church, where he served as an Elder for 29 years, Board member for over 20 years and presently sits on the Operations Committee of the church. He joined the Saint Luke’s Place Board in 2009 acting as Chair the Board in 2014 and 2015. Stan has also taken on various leadership roles with the Rotary Club of Cambridge North and as a member of the University of Waterloo Earth Science Museum Board of Directors. 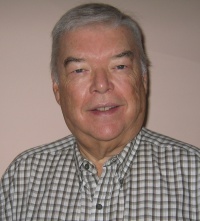 Stan’s civic pride was evident as he was part of a team that organized Hespeler Reunions in both 1996 and 2006, being editor of a Reunion Book for both events. Sharon Livingstone has decades of experience in the non-profit volunteer sector, as an Executive Director, consultant, committee and board member. 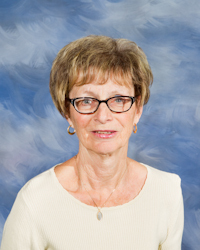 In the past forty years, Sharon has worked in the disability sector with families and individuals with disabilities; for the past ten years she has been involved in the gerontology sector, where her primary interest is aging with a pre-existing disability, successful aging and the development of age friendly communities. Sharon's expertise includes research, governance, risk management, evaluation, change management, policy development and strategic planning. Sharon is Chair of the Cambridge Council on Aging, past Chair of the Cambridge Shelter, Director of the Community Foundation of Cambridge and North Dumfries, Chair of the Bereavement Working Group for Hospice Palliative Care, Waterloo Wellington, Chair of Risk Management for Family Counselling Cambridge and North Dumfries. Sharon holds graduate degrees in Social Work, Psychology and Gerontology from McMaster University, the University of Waterloo and Guelph University. Steve Parker joined the Board of Directors at Saint Luke’s Place in 2006. Now, a 37 year resident of Cambridge and a licensed Ontario funeral director, Steve worked in the Cambridge area as a director before joining the staff at Corbett Funeral Home shortly after it opened in 1987. After 18 years of service to that company he purchased the funeral home in 2006, becoming the owner and managing director. More recently, in 2015, he purchased the Lounsbury Funeral Home in Cambridge (Hespeler) and continues to own and operate both funeral homes serving the residents of Cambridge in their time of need. Driven by his compassionate need to serve others and his commitment to the community, Steve is honoured to serve on the Saint Luke’s Place Board of Directors. Steve found a home on the Board of Directors at Saint Luke’s Place and has served as chair of the finance committee and later serving a 2 year term as president of the Board. He is committed to the residents of Saint Luke’s Place in helping to ensure that it truly becomes their home rather than just a place to live. Robert Pettitt was born in Hamilton, Ontario and is a graduate of McMaster University and the University of Toronto Law School. He practiced law in Cambridge for over 40 years, retiring at the end of 2012. Bob has been a member of the Saint Luke's Place Board of Directors since it's inception in 1974 and is a past Chair of the Board. He presently chairs the Redevelopment Committee of the Board. He is an active member of Wesley United Church, Cambridge where he sings in the choir and is a member of the Board of Trustees. Bob further contributes to the Cambridge community as a member and past President of the Cambridge Kiwanis Club and a member of the Board of Directors of the Cambridge Kiwanis Non-Profit Housing Corporation. John Schneider, native of the Region of Waterloo, grew up on a farm on what is now Benjamin Rd., between Waterloo and Heidelberg, Ont. He participated in many rural organizations such as the 4H Club and Junior Farmers. 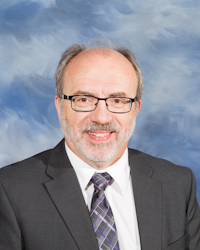 After attending Stratford Teachers’ College and Wilfrid Laurier University, John was an educator with the Waterloo Region District School Board for several years in Elmira, Ont. John and his family have lived in Cambridge for 40 years, where most of John’s career was in administration with three local trucking companies. In that capacity, he also held various positions with the regulatory organizations in which trucking operations participate. In retirement, John has volunteered with Pride Stables in Kitchener, and currently is a volunteer driver for Community Support Connections providing transportation for the elderly, to and from their medical appointments. He has also been the Archivist for the Kitchener-Conestoga Probus Club since 2012. 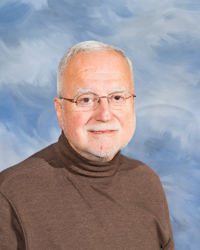 As an active member of St Luke’s United Church, he has fulfilled various roles within its organization. John loves to golf and spend time playing with his grandchildren. Paul joined the Board of Directors of Saint Luke's Place in 2017. He is a tax director at Sun Life Financial and has spent 30 years in financial reporting and accounting roles. 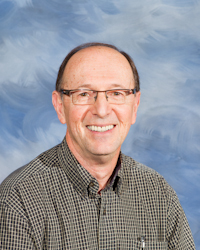 Paul is an active member of Waterloo United Church where he is Treasurer and serves on the Ministry and Personnel, Social and Worship Committees. He was a church musician for many years, plays the organ at Doon Pioneer Village and has been music director for the the Elmira Little Theatre and the Peninsula Players. Paul has a son who lives at the Field of Dreams, part of a community project with Elmira Community Living. Paul has a Bachelor's degree from the University of Waterloo, a Master's degree from Wildrid Laurier University and is a designated accountant (CPA, CMA). Margot recently retired from Saint Luke’s Place after 35 years of service to seniors in our community. She joined Saint Luke's Place in 1982 as a part- time evening charge nurse and over the years, professional growth and a commitment to seniors saw her assume the role of Director of Care in 2004. Margot has been certified as a Long-Term Care Administrator through AdvantAge Ontario (formerly OANHSS) and she has also been certified as an accreditation surveyor for CARF Canada, which assures that health care providers, such as Saint Luke’s Place, strive to offer the highest quality services. Margot joined the Foundation Board of Directors in 2017, and just recently joined our Board of Directors. As Margot has said, “my life has been about seniors and their care” and well knows the importance of Saint Luke’s Place in the lives of our seniors. A lifelong resident of Cambridge, Margot continues to live in Cambridge with her husband and has two daughters. Patrice Wappler was a long serving employee of the Royal Bank, with over forty years of service. It was that work, in fact, that brought Patrice to Saint Luke’s Place. In 1976 (the year Saint Luke’s Place opened) the Royal Bank established an on-site branch to service the tenants and residents of Saint Luke’s Place. Patrice visited here as the bank representative for many years. Over those years, Patrice became friends with many of the residents and tenants and also joined the Auxiliary assisting with their fundraising and other special events. Patrice joined the Saint Luke’s Place Foundation in 2008 and served as Chair for many years. Patrice remained on the Fundraising Committee and just recently became a member of the Saint Luke’s Place Board of Directors, bringing her many years of experience back to Saint Luke’s Place to enhance the lives of those who call Saint Luke’s Place home.